This strategy has been written following prayerful consideration by the Leadership team of the results of the Questionnaire sent out to all church members and groups in January/February 2015. Frodsham is a small market town of around 9,000 population, with a strong sense of community. Many long term residents have strong historic ties with the Methodist and URC Churches but the town has also welcomed a large influx of newcomers to work in adjacent industries, commerce and public services. 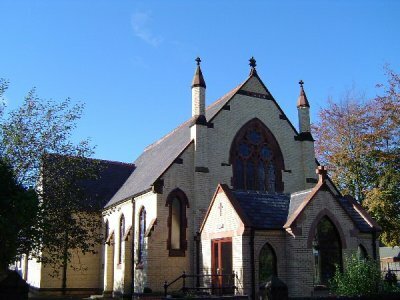 With around 170 members, and many more on the Community Roll, Frodsham Methodist Church is the largest church in the second largest Circuit in the District. There are three services most Sundays, with different worship styles and largely different congregations. During January & February 2015 the congregations and those who attend groups organised by the church were invited to complete a questionnaire. Paper and online versions were available. 99 survey sheets were received from our church family. Some sheets were not fully complete, especially those from the younger and most elderly members. The general trends from the respondents fell into four main sections: Range of weekly services, Spiritual life of the church, Growing & developing our community, & Specific age groups. The leadership team, assisted by others from within the church community, have considered each of these areas and developed an action plan for each. Some of these actions can be developed ourselves, some will need additional financial and other resource and some will best be developed in partnership with the circuit, district and/or other churches within our area. Frodsham Methodist Church will be entering the stationing process during 2015/16 with a view to securing a new minister with pastoral charge for the church commencing in September 2016. This strategy document should set the scene for the stationing process, highlight the areas we need to focus on prior to the new minister starting, and set out what we believe the priorities of the church should be during the first few years of their appointment. 0930 Live! and 10.45am rank as our most popular services. 4all also has a high number of priority votes. 9.30am communion and the 6.00pm service have lower numbers attending but have a significant following. A significant number of us also have other services which we would often go to and are valued by us. Three quarters of all respondents feel the current mix of music and singing is inspiring and uplifting. Generally respondents were reasonably happy with our present mix and pattern of worship, but there were some concerns that the church could do better in its bible teaching, helping us to explore our beliefs, our spiritual gifts and how our faith relates to problems in our lives and in the community. We will continue with the present mix of services for the coming year, reviewing the mix and in particular the format of 4All again at the end of the year. We will consider recording the main service(s) to make it available to those who cannot attend. We will publish the theme and readings for the main morning services in advance in the notices to allow personal preparation and follow-up. We will discuss the bible teaching and other questionnaire feedback with the clergy and at the local preachers meeting. We will increase publicity around what is on at church both within and outside the church – printed and social media. We will consider the variety of the hymns/ songs in worship within each service, trying to mix up styles a little between 0930live and 10.45am to ensure that some of the music culture of each congregation is shared by us all. Consider a midweek service for those for whom Sunday is not a good day for corporate worship (lots of ideas around what this might mean). Occasionally inviting visiting preachers, perhaps from outside the circuit or from other denominations, to broaden the range of preaching at church. Address the needs of teenagers and younger adults in both our 09.30 and 10.45am services. Getting people more involved in participating in services with readings, prayers, drama preparing OHP slides and videos and using a variety of other spiritual gifts. Share items of faith, personal and community news, concerns, and celebrations. Ensure that services are welcoming, encouraging and worshipful. It is pleasing to note that over 88% of respondents have positive emotions regarding their spiritual life. However, 12% of respondents have more negative feelings regarding their spiritual life. It would be good to find ways of addressing this and increasing the number who are growing (only 13% in the survey). It is clear that respondents’ understanding of the bible and prayer life are areas where people want to improve. Although we reported largely positively about our spiritual life, significant numbers of people did not feel that they were completely happy with where they were. The most unsatisfying areas of church life relate to knowledge of spiritual gifts and how to use them, and how sermons provide answers to problems faced. There may be a concern that the lowest scores in the consultation relate to respondents’ involvement in the more spiritual aspects of church. Seek to address some of the spiritual issues above in our Sunday worship times. Set up Bible study groups/cell groups and encourage people to attend existing groups. Publicise the Monday morning prayer group, and try to develop a prayer chain and/or prayer triplets system. Encourage and provide a series of daily bible study notes. Encourage the church to attend large events that will encourage faith and fellowship such as 3 Generate for young people, Cliff College Festival, Greenbelt, New Wine, 3Generate, ECG etc. ( some seeding subsidy may be required). Organise a church away day or weekend away to build faith and fellowship. Develop occasional series of themed preaching to fit with and develop items from this strategy (eg about prayer) or other issues. Developing mentoring and/or pen pals within the church to help bring the different church groups and congregations together. Develop a themed preaching series/bible study course on spiritual gifts. During services have bible reading on screen, refresh the church bibles, give out the church wifi code so people can follow on tablets etc if they wish. Develop and train a prayer ministry team who will be available after 0930 live and 10.45 service to pray with people as they require. Develop a series of prayer days. The majority of respondents feel part of the church and believe that there is a strong sense of community within it. The strongest response is that relationships within the church community are good. People generally want the church to continue to care for those within our church. Serving the wider community is also important. Develop annual/6 monthly church fun family days – within the church premises/ around Frodsham area to develop our community. Re-run our previous time, talents, and spiritual gifts questionnaire to identify members who feel they can offer time and talents to activities, in church worship, organisation maintenance and outreach. Run holiday clubs (for all ages). Develop further links with Chapelfields. Finalise and install a photo wall/map of where people live to encourage good neighbour relationships and support. Encourage and enable the 64% that said they would invite a friend to actually “ invite a friend “! Develop a series of film nights. Take up the Methodist President’s ‘One new disciple this year’ challenge……….and beat it! Give more information out in advance about special collections and feedback afterwards. The respondents were mostly satisfied with how we nurture children and how the church encourages us to grow as Christians. People value the excellent children's work which we run and want it to continue. The respondents were least satisfied with Bible teaching and nurturing teenagers. There is a strong feeling that working with teenagers needs to be a priority, given the number of children associated with the 0930 congregation now moving up into their teenage years, and the low numbers currently in this age range. How we nurture young adults and parents in the 20s – 40s age range was also a concern. Develop a youth fellowship run fortnightly initially. Develop and enable role for existing teenagers within church. Develop a bible study group/cell groups for the 20s – 40s age group. Promote to the wider community that we run baptisms and weddings and why these are important milestones. Organise and run some larger special events for our church, but invite others – e.g., organise a Doug Horley concert, etc. Re-prioritise (are there things we should stop doing to make time for the other things within this strategy we want to do!). Work towards the possible appointment of a youth worker within the next 12-24 months to work alongside our families and schools outreach team, perhaps in conjunction with other churches in the area or the circuit. Develop a ‘pop-up restaurant’ event along the lines of the recent very successful World War 1 Supper prepared and served by our young people. Develop age specific social groups. Carry out a review of all of the weekly service times – are they still the right times? The church in Frodsham was refurbished in 2003-4. Pews were removed, the sanctuary area made much more open, and an enlarged, bright, light foyer was added. The result is a beautiful, flexible space which has considerably freed up our worship and enabled wider use for other things. There are audio and projection facilities and a T-loop. The chairs are not always kept in straight rows! There is room for movement and interaction between preacher and congregation, and this has resulted in some imaginative and innovative acts of worship, especially with the 0930 Live! services for families. There is open access from the Hall foyer with an invitation to use for private prayer. To the rear of the church is the main Hall, added in 1998, which has a carpeted area which can be separated by a sliding concertina door, and a kitchen. The vestry opens off the Hall as well as having a door directly into the church. There are also male and female toilets, as well as a disabled toilet with baby change facility. Separate from this, with its own entrance, but also accessible from the Hall through adjoining doors, is the Annexe, added in 2010, consisting of a craft room with low-level sinks for children’s work; a carpeted ‘quiet room’ (which is, however, multi-purpose) with French windows opening onto the garden; a large office, a kitchenette and a disabled toilet with baby change facility. All parts of the church, Hall and Annexe have disabled access. These facilities are used extensively, both by community groups which hire the premises, and by the church itself for outreach events. Regular users include two activity groups for the elderly or physically impaired, Weight Watchers, Jo Jingles, a local amateur operatic society, Frodsham and District Choral Society, a monthly textiles class. In addition, the premises or part thereof are often hired out for parties, or for one-off events, by individuals or groups. At elections the main Hall is used as the local Polling Station. Regular activities on church premises involving not just church members, but others from outside the church: weekly Men’s Club, Ladies’ Group, Stitching class, a new Knit and Natter group, Circuit Lectionary discussion group, prayer group; monthly Women’s Fellowship, Book Club and Lunch Club; occasional Bible study and discussion groups; weekly Toddlers’ Group (which spills over into the soft play area outside the Annexe, and has a reputation as the best in town!) and fortnightly Messy Mice. Large-scale events for the community like the Craft Fair, Art Exhibition and Christmas Tree Festival, when the entire building is in use; one-offs like holiday clubs. Using the church itself for many different events: concerts of different kinds; primary school ‘weddings’; visits from Cub packs for their faith badge; prayer stations and labyrinths, both for adults and children from a local school; films and slide shows. Schools work: a strong progamme run by our two lay workers in two local primary schools, including assemblies, helping in lessons, running clubs and an ecumenical Messy Church; involvement in Christmas Journey and Easter Journey presentations for primary schools. Ecumenical involvement: supporting Churches Together Against Human Trafficking, a strong ginger group; Christian Aid coffee mornings and annual door-to-door collection; market day coffee morning; bereavement support group. An ongoing fund- and awareness-raising programme throughout the year in support of different charities, and a designated ‘special charity’ each year. This exhaustive, though not totally comprehensive, list is indicative of the fact that Frodsham Methodist Church is not simply inward-looking, but has a heart to reach out to others in the local community and beyond, to share the love of Jesus in practical and spiritual ways. In addition to the minister, the church has 6 Local Preachers, 5 Worship Leaders, a Pastoral Team and 2 Lay Workers. The lay workers comprise: a Children and Families Worker, Andrea Ellams, who works 20 hours per week; a Schools and Families Worker, Pippa Jacobson, who works in a voluntary capacity. The minister at Frodsham is offered 7 hours per week admistrative assistance by the Chester and Delamere Forest Circuit. These staff and key lay leaders are ably supported in their work by a large number of volunteers, which has grown in numbers and diversity in recent years. However, the majority of these lay people are retired, in their 60s and 70s; the church is very conscious that they carry a huge part of the responsibility for what goes on, for how the property is cared for and the finances are maintained, and that they are not getting any younger!! A conscious effort is being made to involve younger people in organisational roles and positions of responsibility, in order to maintain the mission of the church going forward, though there still remains work to be done in this regard. Perhaps the greatest challenge, for both paid and lay personnel, is that the large numbers of children involved in the various activities are growing older, and will need to be catered for in different ways in future.